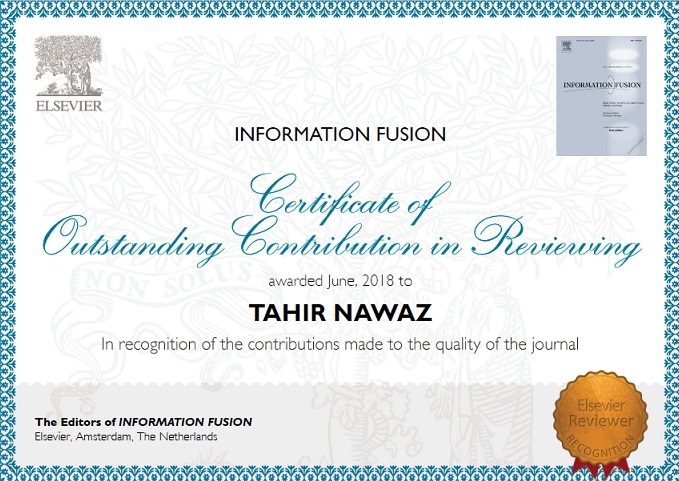 I have been awarded 'Outstanding Reviewer' recognition by the Elsevier Information Fusion Journal due to being within the top 10th percentile of reviewers for the Journal in the last two years. I shall attend the BMVA Technical Meeting titled, "Robotics meets Semantics: Enabling Human-Level Understanding in Robots", on 18th July 2018 in London. I have started working as a Research Engineer at Jaguar Land Rover, where my work focuses on investigating and developing multi-modal sensing technologies for autonomous vehicles. A new dataset, called TST-Priv, is now released and can be downloaded from here. TST-Priv is introduced in our publication here and contains synchronized visual and thermal sequences to facilitate the community in the evaluation of privacy protection techniques in particular and other tasks (e.g. object detection, tracking etc.) in general. My paper titled, "Effective evaluation of privacy protection techniques in visible and thermal imagery" (T. Nawaz, A. Berg, J. Ferryman, J. Ahlberg, M. Felsberg), has been accepted for publication in SPIE Journal of Electronic Imaging. My paper titled, "A method for performance diagnosis and evaluation of video trackers" (T. Nawaz, A. Ellis, J. Ferryman), has been accepted for publication in Signal, Image and Video Processing (SIViP). ViTBAT, a new annotation tool, is available online now! Video Tracking and Behavior Annotation Tool (ViTBAT) is a new annotation tool that has been recently proposed in our publication here. Unlike the existing tools that generally allow an explicit annotation for individual targets only, ViTBAT enables an explicit annotation both for individual targets and groups of targets for the tracking and behavior recognition tasks together with effective visualization features. The software for ViTBAT can be downloaded here. Below is also given a video tutorial explaining its usage. My paper titled, "ViTBAT: Video Tracking and Behavior Annotation Tool" (T. Biresaw, T. Nawaz, J. Ferryman, A. Dell), has been accepted for publication in IEEE International Conference on Advanced Video- and Signal-based Surveillance (AVSS) to be held in Colorado Springs, Colorado, USA in August 2016. My paper titled, "User-centric, embedded vision-based human monitoring: A concept and a healthcare use case" (T. Nawaz, B. Rinner, J. Ferryman), has been accepted for publication in ACM International Conference on Distributed Smart Cameras (ICDSC) to be held in Paris, France in September 2016. On 3rd September 2015, I gave a talk at the Computer Vision Laboratory (CVL) in the Department of Electrical Engineering at Linköping University, Sweden. On 28th August 2015, I delivered the following short spotlight 'teaser' presentation for my paper titled, "An annotation-free method for evaluating privacy protection techniques in videos" (T. Nawaz, J. Ferryman), at the IEEE International Conference on Advanced Video- and Signal-based Surveillance (AVSS) in Karlsruhe, Germany. On 2nd September 2015, I shall give a talk at the 2015 Summer School on Intelligent Sensing for Interactive and Cognitive Environments (ICE) in Queen Mary University of London. My paper titled, "Discrete wavelet transform based whole-spectral and sub-spectral analysis for improved brain tumour clustering using single voxel MR spectroscopy" (G. Yang, T. Nawaz, T. R. Barrick, F. A. Howe, G. Slabaugh), has been accepted for publication in IEEE Transactions on Biomedical Engineering (TBME). 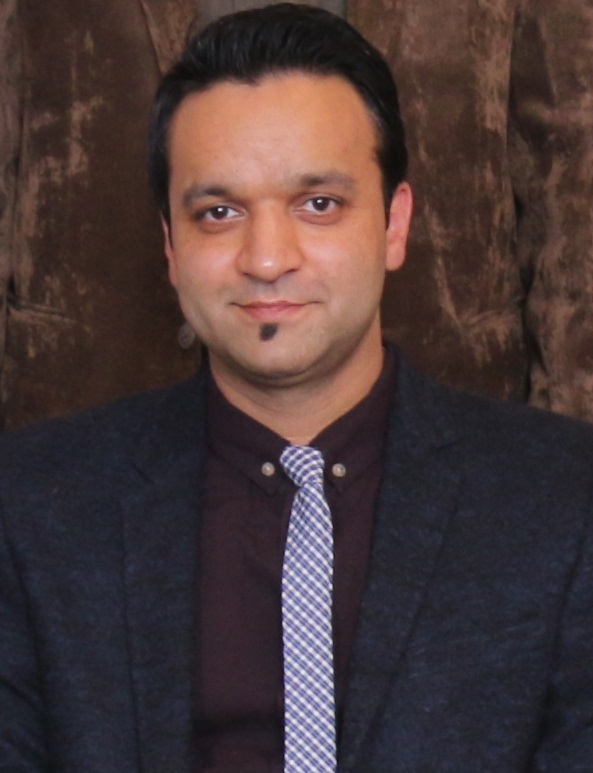 My papers titled, "An annotation-free method for evaluating privacy protection techniques in videos" (T. Nawaz, J. Ferryman) and "Temporally stable feature clusters for maritime object tracking in visible and thermal imagery" (C. Osborne, T. Cane, T. Nawaz, J. Ferryman), have been accepted for publication in IEEE International Conference on Advanced Video- and Signal-based Surveillance (AVSS) to be held in Karlsruhe, Germany in August 2015. I am the co-organizer of IEEE International Workshop on Performance Evaluation of Tracking and Surveillance (PETS) 2015. PETS workshops are very well-known and have been successfully taking place for more than a decade. This year's workshop invites submissions for PETS 2015 Challenge using the two provided datasets or general submissions using other existing datasets. For a detailed information, please visit the workshop's website. The video of the final public presentation of my PhD thesis is now available. The presentation provided an overview of the main contributions of my thesis titled, "Ground-truth-based trajectory evaluation in videos". Prof Andrea Cavallaro from the Queen Mary University of London, UK and Prof Bernhard Rinner from the Alpen-Adria University of Klagenfurt, Austria were my first supervisor and second supervisor, respectively. My paper titled, "Trajectory clustering for motion pattern extraction in aerial videos" (T. Nawaz, A. Cavallaro, B. Rinner), has been recognized as one of the "Top 10%" papers in IEEE International Conference on Image Processing (ICIP) 2014. Additionally, the two newly-introduced aerial datasets (for Parking Lot and Traffic Junction scenes) used in this paper are made available online. I have joined the Computational Vision Group at the University of Reading, UK as a Post-doctoral Research Assistant. My work currently focuses on automated surveillance with visible and thermal imagery under the European Privacy Preserving Perimeter Protection Project (P5). Copyright © 2015 - Tahir Nawaz. All rights reserved.